Connecting with Wireless super easily,compatible with all Wireless device. It can be used for relaxing, traveling, bedroom reading and kids night light. Support sleep mode, the lamp and speaker automatically turns off after setting. Built-in high definition microphone enables you receive calls easily and makes your hands free. It can streams incrediable stereo sound with full range output, crystal clear articulate high end. It supports any Wireless -enabled devices such as smartphone, tablet, PDA, MP3 player, PC, laptop, etc. If you have unique design, we can handle the whole development from outlook design, mechanical structure, electronics design and building of tooling. 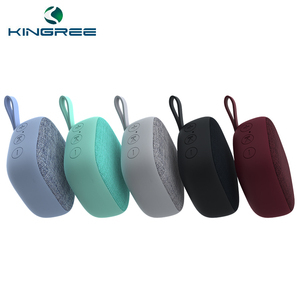 Under the terms of this warranty, if the product have a failure occurs under normal usage within warranty period, Kingree will provide free/rework new products based on the proof-documents. We launch about 3 patent products per month, 90% of our items are coming with patent certification for appearance and utility model. You can wake up with bird singing or your own music. 4. Low MOQ(1pc) is accepted in our company as we have products at stock. 5. We are factory direct supplier, welcome to have a visit of our factory before placing an order. 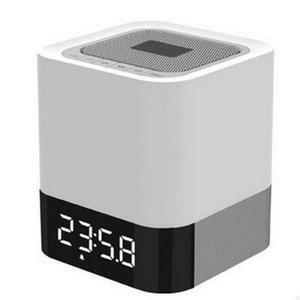 2 YRS Shenzhen Aidar Trading Co., Ltd.
:Itech-S9 Detailed Image Unique Features Unique Advantages of Itech-S9 speaker with bluetooth Wireless Touch Control: The Itech-S9 Mini portable speaker is with touched control button design. Multi-functions: The Itec-S9 wireless stereo sport bluetooth speaker support 32G TF&SD Card , built-in HD mic for handsfree function, supported, USB input, AUX Line-in Function Bluetooth 4.1 technology: The Itec -S9 metal sport wireless speaker is Equipped with the advanced technology,compatible with all Bluetooth devices, such as windows,iOS,XP system, Iphone,Samsung,Ipaid,pc,laptop. The Speaker supports automatically reconnects to the last device used Superior sound quality: The Itech -S9 Powerful sound bluetooth speaker built-in two 1.5 inches speaker,Enjoy your music in 6W full-bodied stereo realized through dual high-performance drivers and an unique enhanced bass Long playtime: The Itech -S9 mini sound bluetooth speaker is Built-in Li-Ion 2000mAh rechargeable battery guarantees up to 8-10hours playtime. 3 YRS Shenzhen Zhao Rui Technology Co., Ltd.
11.voice prompt Payment/Shipping/Package: 1.We accept Paypal,T/T,ali-Escrow. (T/T - 30% deposit,70% balance) 2.Shipping in 1-3days after payment received. 3.Shipping method:DHL/FedEx/UPS/TNT/by air(3-7days). Any problems please feel free to contact us first so that we can supply the best service for you. 3. Can i get an sample to check quality before mass order9 -- Yes,you to place sample order to check our quality. I do believe our high quality products will bring more orders for you from your clients! 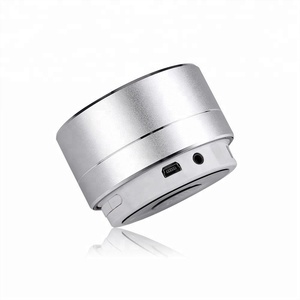 1 YRS Changzhou OK International Trade Co., Ltd.
6 YRS Shenzhen JunPeng Weiye Science & Technology Co., Ltd.
1 YRS Wuhan Qin Qi Yuan Da Technology Co., Ltd.
Alibaba.com offers 85,055 oem mini speaker products. About 80% of these are speaker, 1% are professional audio, video & lighting. 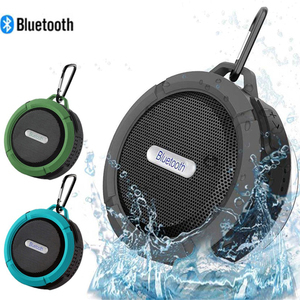 A wide variety of oem mini speaker options are available to you, such as computer, portable audio player, and home theatre. You can also choose from mini, wireless, and portable. As well as from active, passive. And whether oem mini speaker is 3 (2.1), 2 (2.0), or 1. 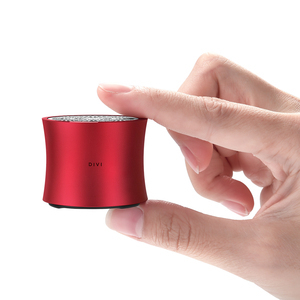 There are 85,055 oem mini speaker suppliers, mainly located in Asia. The top supplying country is China (Mainland), which supply 100% of oem mini speaker respectively. 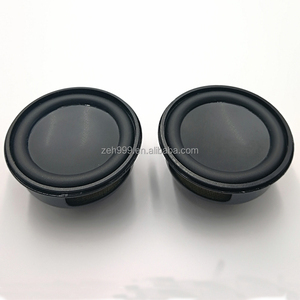 Oem mini speaker products are most popular in North America, Western Europe, and South America. You can ensure product safety by selecting from certified suppliers, including 21,979 with ISO9001, 6,491 with Other, and 2,578 with ISO14001 certification.